Neuromas in the feet can be a very painful condition. When treated promptly, these little bundles of scar tissues can often resolve with simple conservative treatments. If you have pain in the ball of your foot and/or radiating symptoms of burning, sharp/shooting or tingling pain in the toes, you may be suffering from a neuroma. Often referred to as 'Morton's Neuroma', this condition involves scar tissue build-up and irritation of small nerves in the ball of the foot. 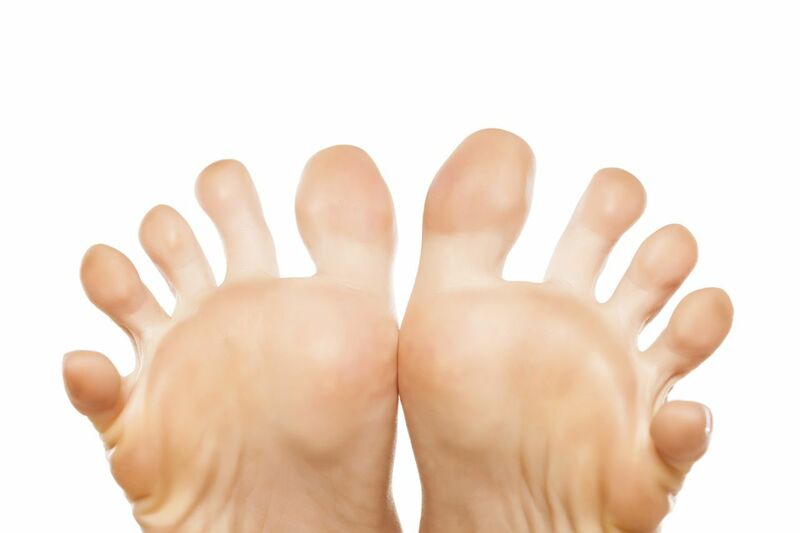 The truest form of 'Morton's Neuroma' is a neuroma specifically located between the bones at the bases of the 3rd and 4th toes (counting from the big toe). These symptoms do not have to be localized to this specific area to be a neuroma, it just happens to be the most common location. Some people describe the pain from neuromas as being sudden clicking or shooting pains from the ball of the foot into the toes. However, not everyone experiences pain in the toes. The clicking felt in the ball of the foot is actually the nerve itself (wrapped up in scar tissue) rubbing between the metatarsal heads. The metatarsals are the bone across the middle of the foot and there is 1 metatarsal for every toe. Other symptoms can include the feeling of walking on a ball. This scar tissue can vary in size and extent and usually the larger the extent of scar tissue, the more symptomatic the neuroma. In somes cases, the neuroma can be large enough the toe toes in that area will spread apart when standing barefoot, or even while sitting you may notice a bigger space between 2 toes. The irritation of a nerve can be due to certain shoes, but also your foot type usually has something to do with it too. Wearing high heeled shoes places excessive pressure on the ball of the foot and instability in the ball of the foot. When the metatarsals rub together in these shoes, the nerve reacts by creating scar tissue around the nerves in this area. These nerves can be acutely irritated and pain may resolve after wearing these shoes. However, chronic use of narrow and/or high heeled shoes can cause this inflammation to lead to excessive scar tissue, which make the nerve itself even more bulky and susceptible to pressure and irritation. Your foot type plays a role in how the nerves in the ball of the foot are able to function. Having a two metatarsal bones which are closer together and a foot that is more rigid in the forefoot can predispose a person to having irritation of these nerves. In addition, there are people with more flexibility in the forefoot and a flatter foot structure which allows the metatarsals to move up and down and irritate the nerve. In order to decrease the symptoms from a neuroma, sometimes the solution is simple and sometimes it is more complex. Initial therapies can include changing shoegear (aka, limiting use of narrow or high shoes), padding of the foot, anti-inflammatories and possibly physical therapy to reduce scar tissue. If these prove only mildly helpful, sometimes a steroid injection can be used to break down some scar tissue and reduce inflammation in the nerve. Prescription orthotic inserts can be very useful in this condition to correct the mechanics of the foot that are leading to irritation of the nerves. These are often recommended to reduce the risk of recurrence of your neuroma pain. In extreme cases, if the nerve does not respond to the above treatments, there is an option to either deaden the affected nerve through a series of diluted alcohol injections. This physically shrinks the nerve and may create numbness in this area of the nerve and in the adjacent sides of the toes - but the pain should resolve. Surgery can also be performed to resect the scarred nerve. As scarring on a nerve occurs on the lining of the nerve, it is unfortunately not possible to remove the scar tissue without removing a portion of the nerve itself - and this too causes localized numbness that may or may not resolve. Come see one of our doctors today if you have pain in the ball of your foot. There are many other conditions that may be at play, but regardless of the diagnoses, prompt treatment is the best way to try and avoid surgery or future complications!